KATHMANDU, Nepal–I am sleeping average of 2.5 hours for the last four days. We start early and end super late. Then people in the U.S. wake up and there are daily Skype interviews and reports to write until after midnight. It’s a battlefield of adrenaline. I don’t feel much fatigue. From 7:35 and on we spend all morning with meetings. The whole country seems to know about our presence. 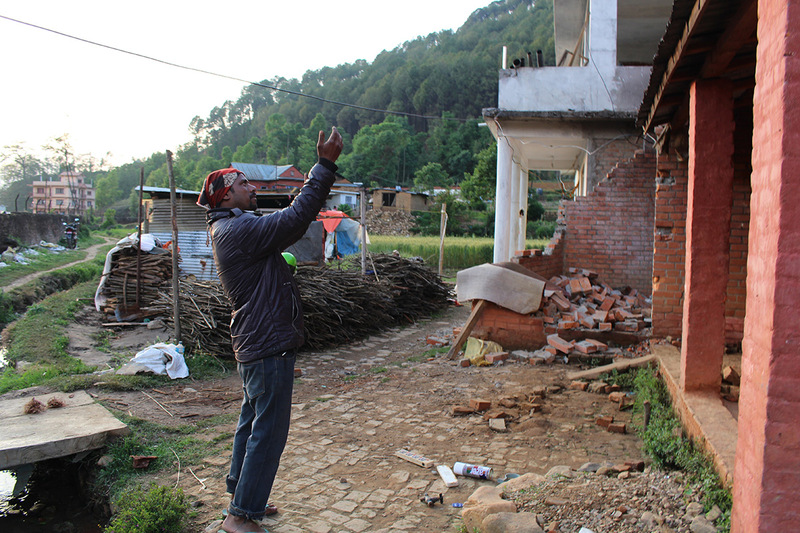 The Nepal Engineering Association initiated damage assessment with its 400 volunteer members. They need technical and funding support. Our extensive experience in Haiti may help them. We attend a hotel association meeting, which is a membership of 300 hotels. They are interested in knowing how bad the damage to their buildings is and what it will take to strengthen them. Hotel structures are usually the hardest hit. The wide open lobbies make them very vulnerable to earthquake action. But hotels provide extremely important logistic support for recovery and reconstruction specialists coming through for the next phase. 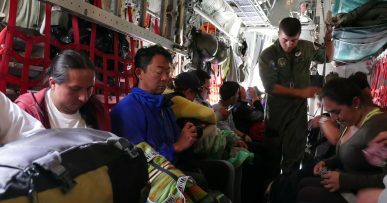 It is an important mission to assess the safety and help them reopen. At around 3 we take off from the city to inspect an orphanage in a village called Godawari about 19 kilometers away. As we drive, the scenery changes from urban mess to beautiful green countryside. The landscape is dotted with small villages and destroyed main streets. 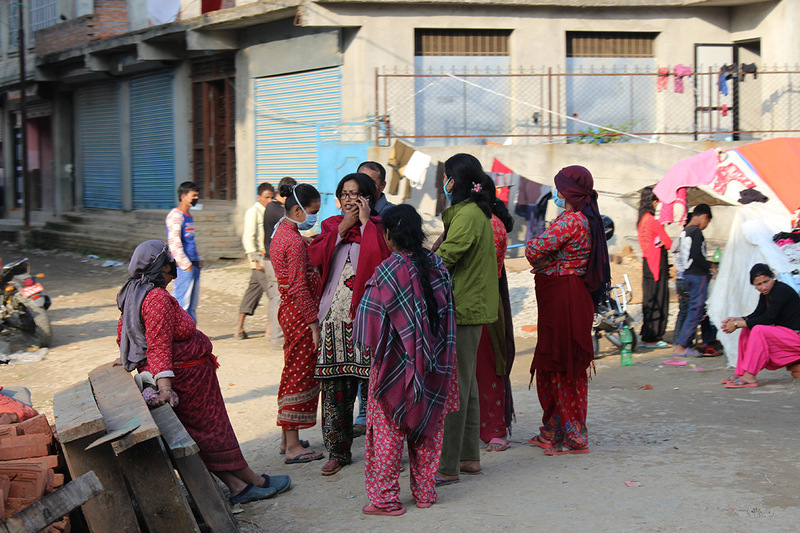 Kids and mothers in bright traditional clothing sit outside, aimless. They are afraid of going indoors. It’s interesting to see the damage patterns change considerably from Kathmandu as we drive away from the city and uphill. 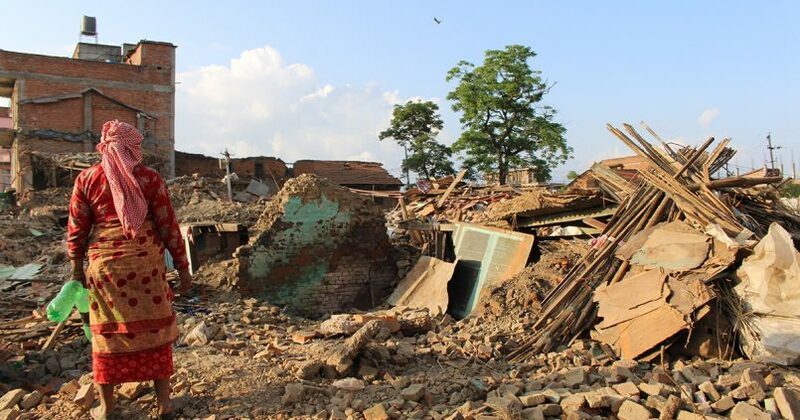 Tall and larger buildings sustained most of the damage in Kathmandu. 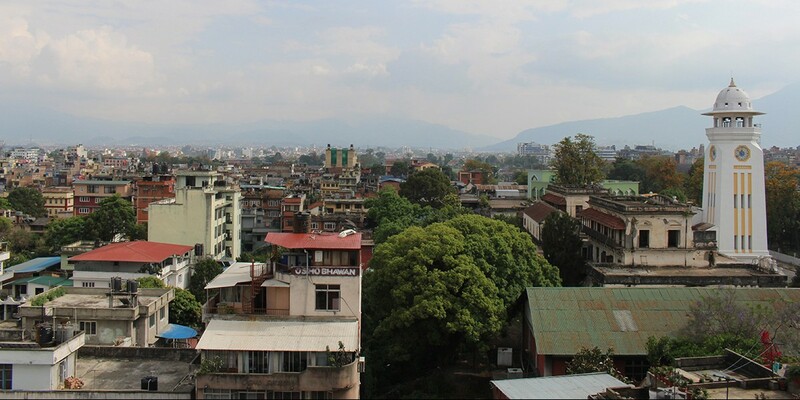 Kathmandu is built on ancient lake bed and the epicenter was 80 kilometers away. It is a classic long-period motion effect. It’s like the whole town was isolated from certain high frequency motion. 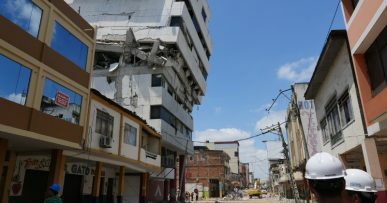 That’s why fragile but small structures were somewhat untouched by this earthquake. But just outside of town like I am here now, you see totally different damage patterns. 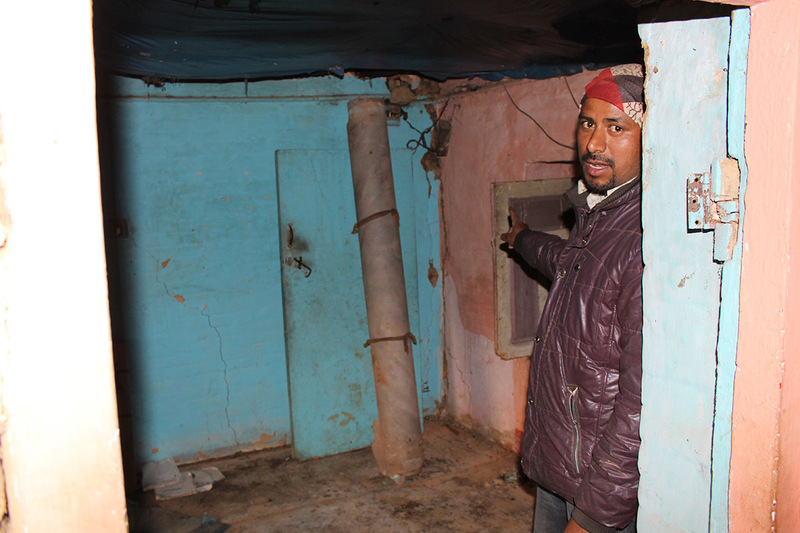 High frequency structures like small houses are affected badly. Soil is harder here. It seems like at least 30 percent of the houses are totally destroyed or heavily damaged along this road. It is somewhat reminiscent of a war movie, only this is real. By 4:30 p.m. our road has become narrower, rocker and steeper as we approach Godawari. 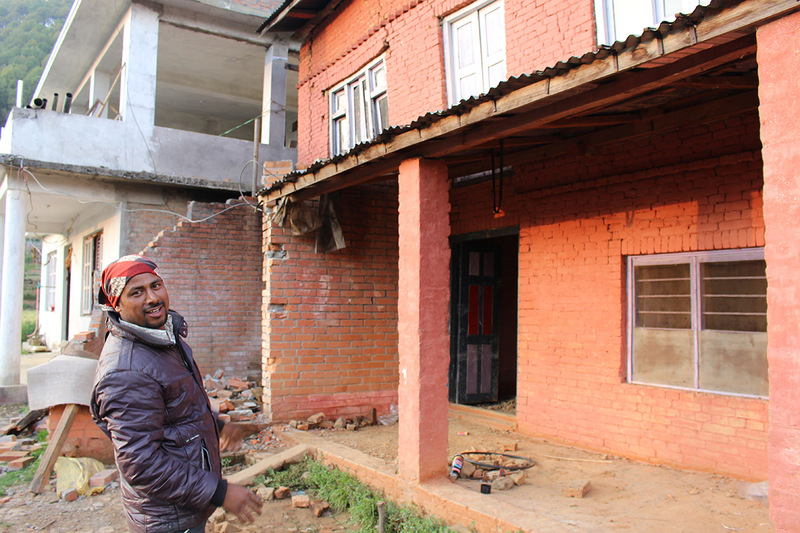 We arrive to find the orphanage someone asked us to assess, a three-story concrete structure. As we approach, several kids sitting outside say hello to me with beautiful smiles. It appears that the ground floor is heavily damaged. 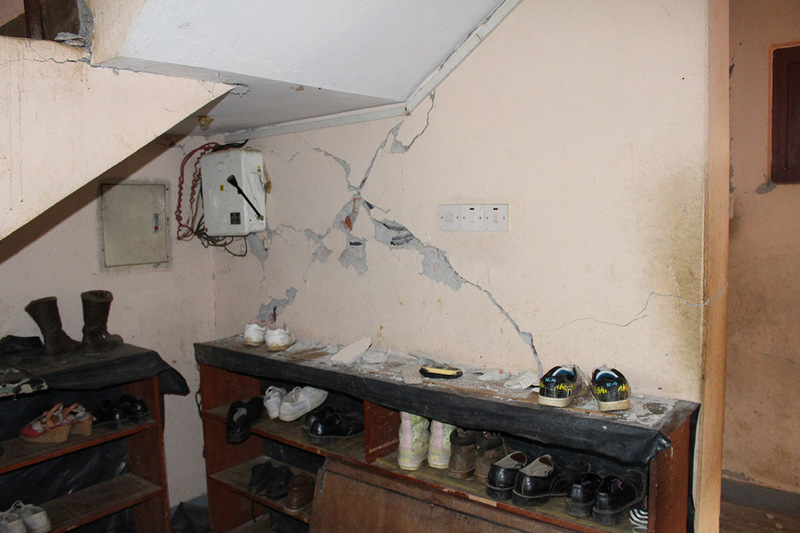 We inspect the building with the principal and discover that the damage is limited to non-structural elements such as infill brick walls. But I inform the principal that it is dangerous to enter and use in the current state because there is considerable danger of falling hazard. Also the ground floor is much weaker and softer since many of the brick infill walls are cracked. It is bad news. But the good news is that it is fairly easy to fix. I also recommend seismic strengthening for future earthquakes. Unfortunately, I’m pretty sure they have no means to do this. 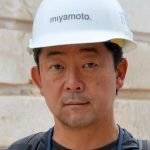 I think we should consider raising funds through our nonprofit, Miyamoto Relief. At 5:45 as night closes in on us we prepare to leave the village. A man approaches me. He’s a short man, tanned, with the brightest smile. He asks me to come see his house. He says it is destroyed. I follow him. Around corner, in the wheat field, sits a cluster of three brick houses. Back 3 were ancient ones and their second floor is destroyed. I advise them to remove the damaged second floor and use the undamaged ground floor. What a great family and people. 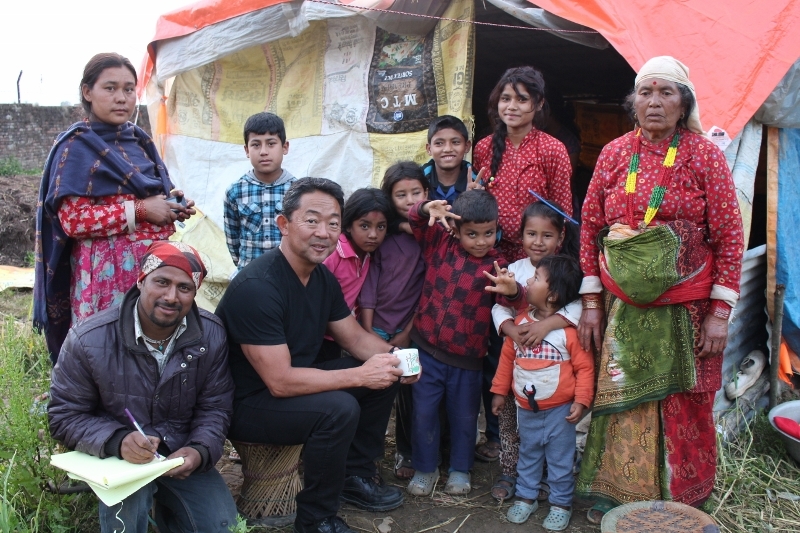 They are so cheerful and hospitable even while facing dire situation of losing their homes. 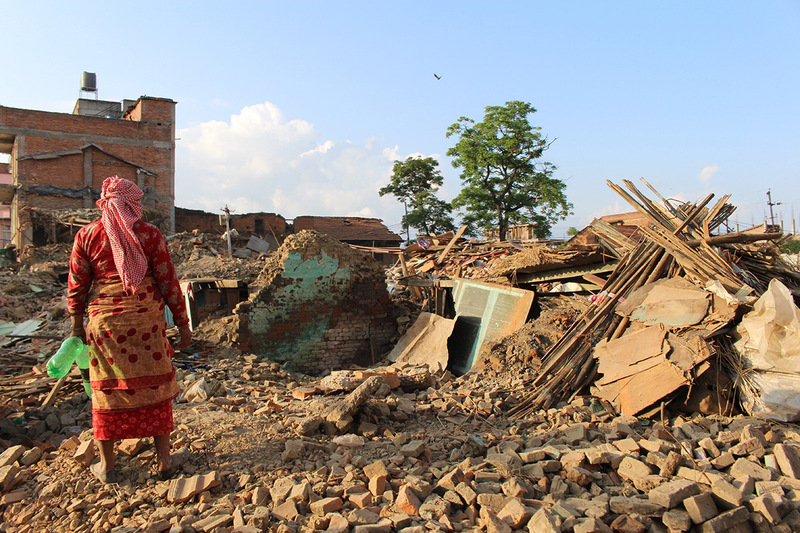 As dusk is settles in, we say farewell to the beautiful, but destroyed village of Godawari. I have this feeling I will return here.